This weekend is pretty light, so I’ll likely be camped out around the house for most of it. Neil and I are almost done with the last season of Game of Thrones, so that will likely be wrapped up then and we can join the masses who anxiously await 2019 for the next and last season. Here’s some of my favorites from this week to kick off the weekend! Neil got me this sweatshirt for Christmas and I have been LIVING in it. 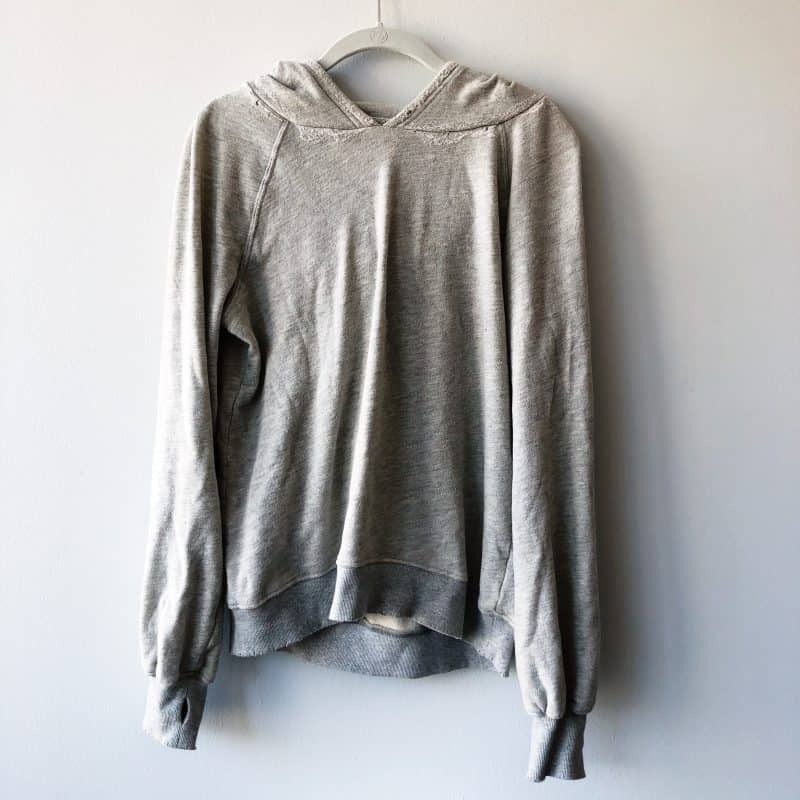 One of my favorite things is a comfy gray sweatshirt and this delivers in so many ways. It’s perfectly distressed, yet thick enough that it doesn’t feel like it’s going to fall apart. There’s a hood which you can’t quite see and thumbholes if you’re into them. It’s seriously the comfiest sweatshirt I own and I doubt I’ll be taking it off any time soon. I’ve talked about these candles a number of times, but for Christmas my sister got me a limited edition scent — The Archives. I’m a sucker for anything book-related and that includes candles. 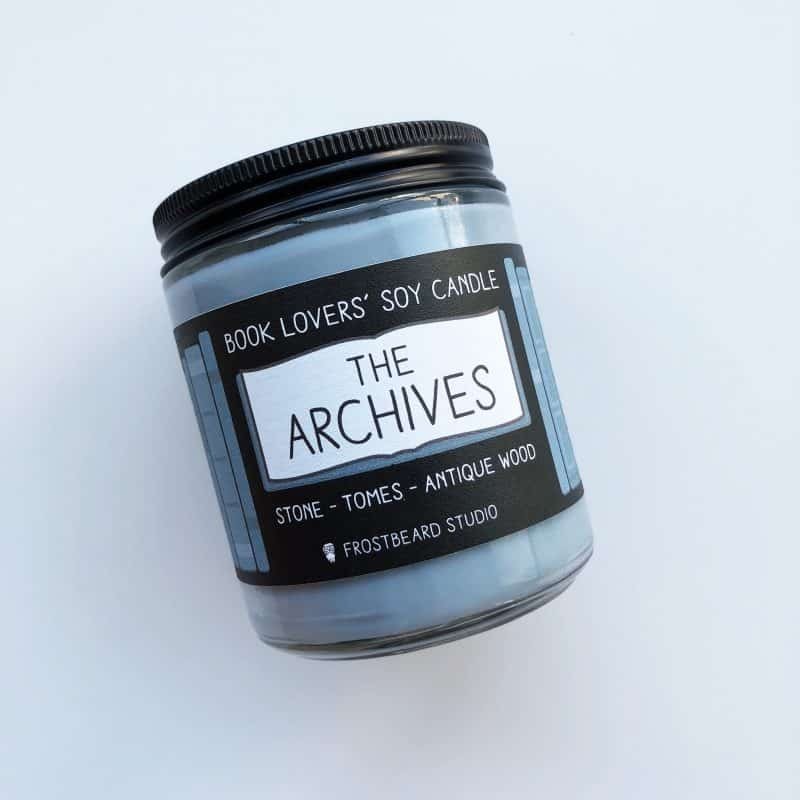 I will say that it smells similar to some of the other book-scented candles they have, but I’m not mad about it. If you’re a book enthusiast, there are other scents based on popular novels like Game of Thrones, Harry Potter, and more classical literature selections. You can use the coupon code BOOKISH for 10% off first-time orders as an added bonus! 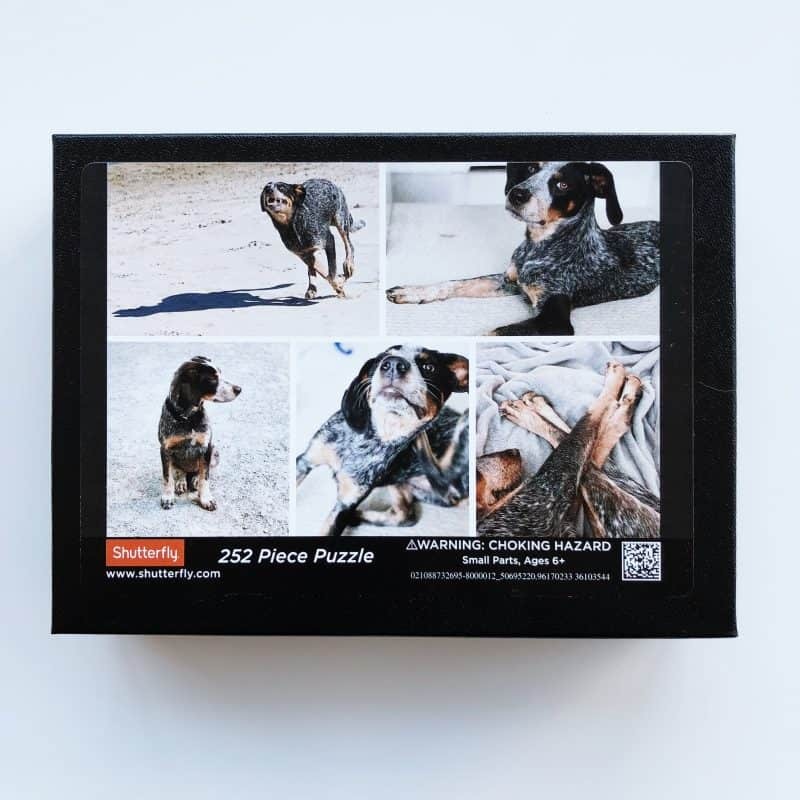 My sister also got me this puzzle from Shutterfly made from different pictures of Donut. It’s such a nice personalized gift that combines two of my favorite things. 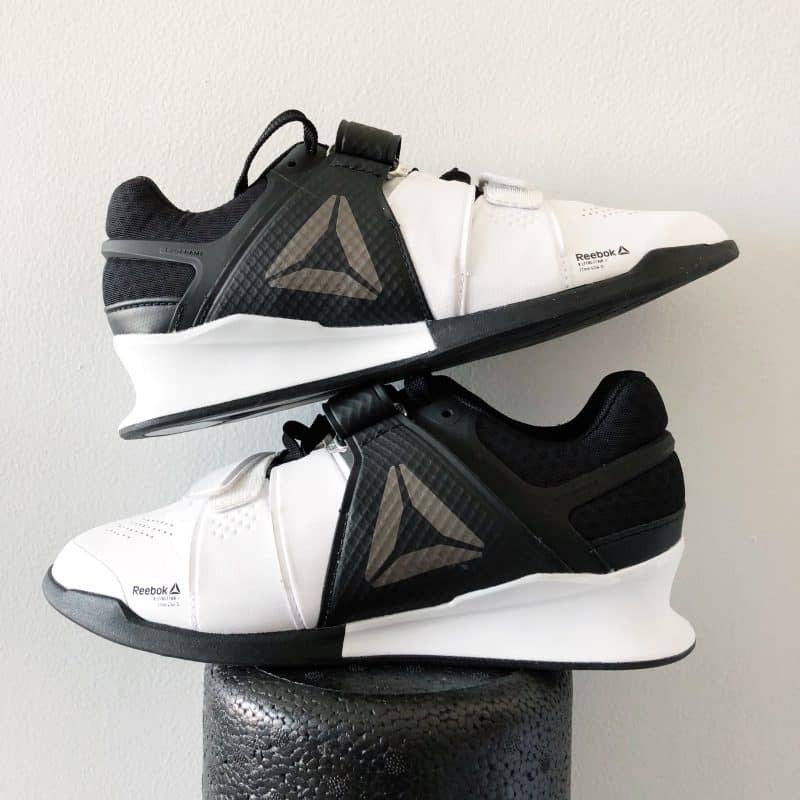 Neil surprised me with these weightlifting shoes since most of my workouts are Crossfit and strength-focused. I had never owned a pair before this, but using them for a week or so has shown me that they are definitely beneficial in terms of helping my stability and allowing me to use heavier weights more comfortably. The elevated heel allows you to get deeper in your squat without compromising the upright form of your torso. The only downside is that because my workouts tend to consist of slower strength work followed by more high intensity moves, I sometimes have to switch into lighter shoes for the second half depending on the moves. It’s not a huge problem, but not everyone might want to bring an extra pair of shoes to the gym. You guys — this is so awesome. Neil is obviously the tech person in our household and I didn’t even know that our new phones had wireless charging capabilities (I’m just in it for the camera). 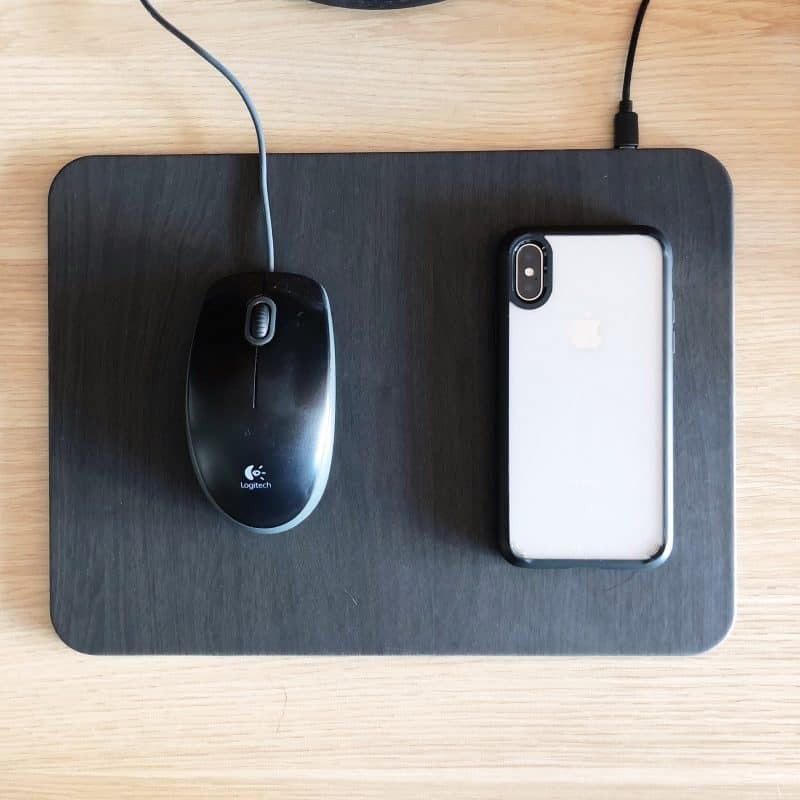 This mousepad allows you to set your phone down while you work on the computer and it charges your phone. Unfortunately it’s only compatible with certain newer phones (check here to see if that includes you), but as time goes on I feel like most phones will have this capability. Simply set it down and it charges! That’s all I’ve got for this week — have a great weekend and I’ll see you on Monday! Wow I have to check that candle out–sounds like my dream candle! 🙂 I love when you find that perfect sweatshirt/sweatpants and live in them. I recently got a new pair of pjs for christmas from my mom and they are seriously so comfortable. I’m so sad when I have to put them in the wash haha! Aaaaaand now I sound like a fangirl. Awww that’s so nice!! I hope you love it! I LOVE candles- that sounds like my kind of candle! Such a cute sweatshirt- I live in cosy clothes at home, too! Oh, I love the puzzle of Donut. I gave my niece and nephew a photo puzzle for Christmas last year… it’s so much fun to put together an image that you love! Awww that puzzle of donut; that’s so cute! And I LOVE that hobo sweatshirt; I would totally live in it too Erin. I’m glad you get the gift of being able to hang around the house for the weekend; that’s a blessing! OMG THOSE CANDLES! I just checked out the website and I NEED the harry potter candles. Like everywhere!